Hundreds of books have been written about leadership but truly exceptional leaders are rare. Most leaders eventually will disappoint us in some way but occasionally there is a great leader that rises above all the others. Great leaders must understand their organization in a past, present, and future context. They respect the past, see the current reality, and envision the future. “A truly holistic visionary view takes into account the history of the organization, the rules and policies, the people, and the vision.”(1) God’s leaders take into account the history of his people recorded in the Holy Scriptures written for us to follow by example. They use the biblical commandments as a perfect standard to measure the present spiritual reality of their ministry. They envision that their followers each day would be a little more like Christ in behavior and they lead their people towards the ultimate vision of Christ returning in glory. 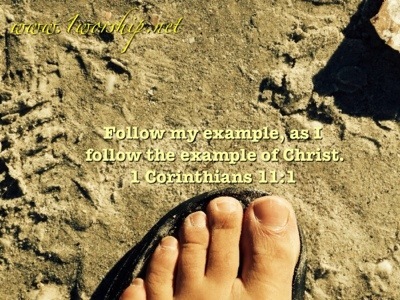 Follow great leaders only as they follow Christ. (1) Rutland, Mark. Relaunch Colorado Springs CO: David C Cook, 2013. Imagine being an eye witness to a murder in which you clearly observed all the details of the crime take place including the offender’s identity. Rather than report the crime to the authorities you clean up all the evidence at the scene and say nothing. Of course this would be called obstruction of justice and you would not only be considered a useless witness but an accomplice to the murder. This situation may seem unbelievable but this is actually happening every day. Frequently we observe sinful behaviors that offend the Lord in the people around us and even in our own actions but we do nothing to confront them. 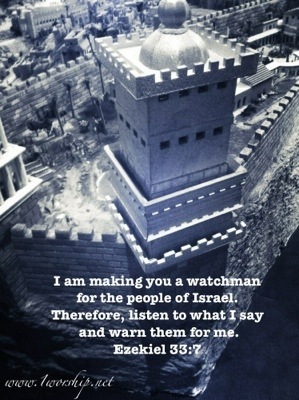 In ancient Israel they placed watchmen on the city walls of Jerusalem to observe approaching enemies and warn the people of the impending danger. Like these ancient watchmen the Lord requires Christians to watch and warn people to repent for their sins. The Lord says “If I announce that some wicked people are sure to die and you fail to tell them to change their ways, then they will die in their sins, and I will hold you responsible for their deaths.” (Ezekiel 33:8) Watchmen on the walls cannot keep silent. I was over at a family member’s house recently having a conversation but we were not communicating very well. It was not because we did not want to talk to each other but we simply could not hear each other. The television was on too loud, there was music playing nearby with several other people talking simultaneously and to make matters even worse there was a dog barking in another room. With all these noisy distractions it was nearly impossible to understand what we were saying to each other. Finally we left the room and retreated to a more peaceful location. The Lord attempts to communicate with us but quite often the internal noises of our worries and doubts distract us from discerning his gentle voice. If we want to receive direction from the Lord we have to listen attentively and turn down the volume of all the busy thoughts that have no eternal significance. God’s speaking. Can you hear him? 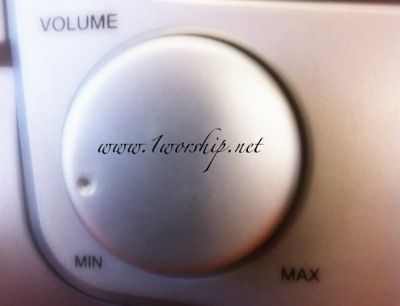 Dial down and tune into the Lord! 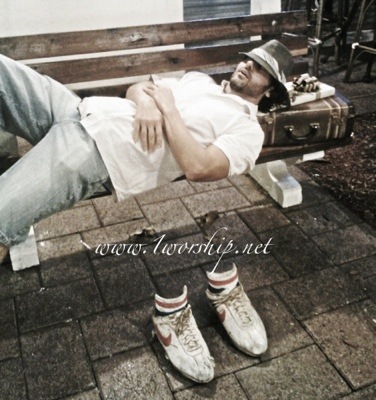 I was out enjoying the day sitting on a park bench when a homeless man approached me. He said that he was hungry and wanted five dollars to buy food. I just happened to have my lunch with me so I offered the man a blueberry bagel with walnut honey cheese. The hungry man refused the bagel so I presented him some fresh fruit but again he declined my gift. One last time I attempted to give him an organic chocolate chip energy bar but to my surprise he also rejected the delicious snack because he just wanted five dollars to buy fast food. This man was hungry but not for good nutritious food. Some people behave exactly like this hungry man.They want food but they reject the Word of God as the bread of life that blesses our whole being. The Holy Bible gives us the perfect food for our souls. Jesus said that “people do not live by bread alone, but by every word that comes from the mouth of God.” (Matthew 4:4) So if you’re hungry feed on the best food and study God’s Holy Word. I came across a dog park one day and stopped to watch the social interaction between all the different breeds. I noticed that some dogs were barking excessively and creating an unnecessary disturbance. These delinquent dogs would not be very good to have as a neighbor because their noise ruined everyone’s peace. Dogs bark when they are bored, lonely or when they just want some attention. With proper training and family interaction this bad habit can be resolved. Some people behave just like a disorderly dog. They frequently complain and criticize others to receive attention. They certainly do not make very good neighbors. The Bible instructs us to “love your neighbor as yourself.” (Matthew 22:39) and offer hospitality to one another without grumbling. 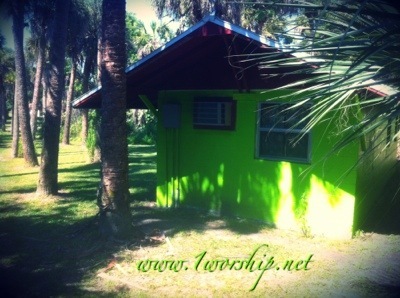 (1 Peter 4:9) If we love our neighbors we look for ways to build them up and not tear them down. By obeying the instructions in God’s Word and exercising self control of the tongue we can improve our social skills and be good neighbors. 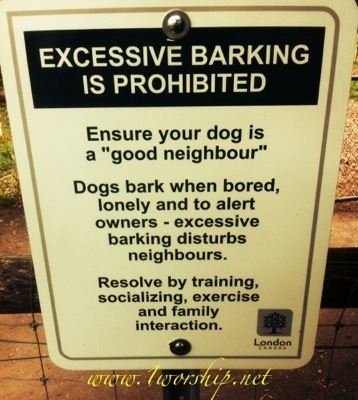 There will always be those neighbors who “bark excessively” but a little love goes a long way to quiet even the noisiest complainers. Where I grew up we had a grape vine and I remember waiting for the grapes to ripen but often to my disappointment animals would steal the young grapes before they fully developed. In ancient times vineyards had protective walls around them to keep out the animals that would harm the grapes but there was always the threat of small foxes slipping through the walls. If the vineyard was not closely watched as the new fruit was developing the foxes would destroy the fruit before it was harvested. Sometimes little foxes slip into our thoughts to spoil the good spiritual fruit that the Lord wants to develop in our lives. (Gal 5:22) The little foxes can represent fears, worries or doubts that are contrary to the promises found in God’s holy Word. 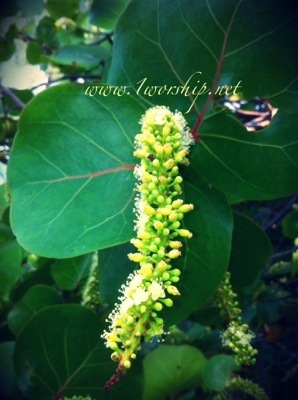 The little foxes of bitterness, pride and unforgiveness stunt our spiritual growth. Little foxes run fast and are difficult to catch. Taking every thought captive immediately and making it obedient to Christ will ensure a good spiritual harvest. (2 Cor 10:5) Catch us the foxes. I was visiting an aquarium recently and I noticed a large moray eel hiding in a deep underwater coral reef. The long, scaleless body of the eel startled me as it resembled a sea serpent. 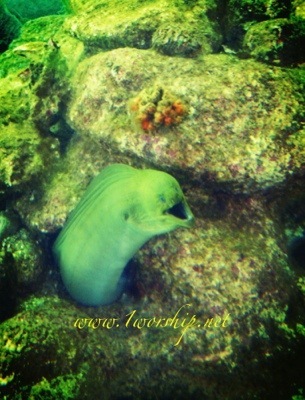 Green morays are sedentary predators with strong sharp teeth. This solitary animal hides among cracks and crevices, along rocky shorelines, and in coral reefs. They feed mostly at night on fishes but rather than hunting for food, they wait until food comes to them. (1) As I observed the behavior of this creature I reflected upon what the Bible says about our adversary Satan. He preys upon human souls who venture out into temptation. Satan waits in the shadows for people to fall into sin and then he tears them apart pulling them down to the dark depths of Hell. Repent from sin and avoid this monster of the deep. 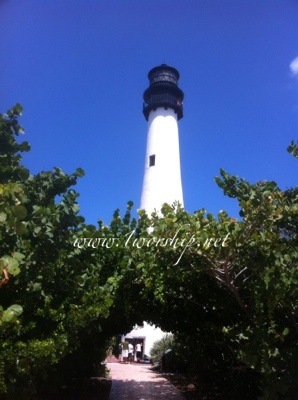 I had an opportunity to visit a historic lighthouse. As I ascended the spiral staircase to the top I was amazed at the spectacular view and wondered just how many ships were saved from disaster throughout the decades. The lighthouse is a tower that shines a very bright warning light for the guidance of ships to avoid dangerous areas. God’s Holy Word is like the lighthouse. If we pay close attention to what the Bible says we can steer our lives away from the sharp rocks of sinful behaviors which shipwreck our souls to eternal death separated from God forever. Jesus is the Light of the world and his light shines into our hearts like a bright morning star saving us from the darkness of our sins.